Most of us grew up with watching our favorite TV shows and as kids, who would not be addicted to watching cartoons? Our own favorite cartoon series had somehow made an impact into our lives not just by bringing us pure fun and entertainment. Some may have been inspired by cartoons to pursue a career in animation while some may use the lessons on their day to day lives. 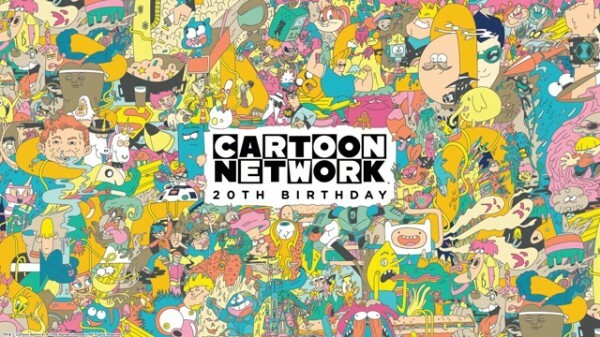 Talking about cartoons, this month marks the 20th Anniversary Celebration of Cartoon Network (CN), one of the largest cable television networks that primarily airs animated programs for the past 20 years. Way back on the channel’s launch on October 1, 1992, CN had been a primary source of cartoon entertainment as Turner Broadcasting purchased “The Flintstones” and “The Jetsons” and other cartoons from the Hanna-Barbera Library. Through the years, Cartoon Network had made a mark in bringing cartoons series that appealed both on kids and adults. The network began producing original cartoons in 1994 like “Space Ghost Coast to Coast” and “What A Cartoon!” which served as the launching point for other popular CN originals like “Dexter’s Laboratory“, “The Powerpuff Girls“, “Cow and Chicken“, “Courage the Cowardly Dog” and “Johnny Bravo“. The channel is now shown in 360 million households in 175 countries. As creatives, watching cartoons might have given you some creative inspirations that are still being applied in your projects. It can be a major influence in your artistic style, or just a simple reminder of how things should be done in a fun and creative way. As a part of the celebration, we here at You The Designer have collected some of the wackiest, coolest and most amazing fan art illustrations featuring some of the most memorable CN original cartoons from the past and the present. Enjoy! The network’s all month celebration was started by a video presentation featuring some of the most iconic cartoon clips and characters in the past 20 years. Also, the network is having a showcase of 20 of their most popular games based on some of their most successful cartoons and a voting system of random favorites in different categories on their official website. Which cartoon series of CN you think are most remarkable? Feel free to tell us your thoughts and suggestions by commenting below. Find us on Facebook, Twitter and Google Plus for more updates. Don’t forget to subscribe to our blog for everyday design news and content. Stay awesome everyone!